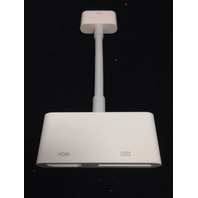 Use the Apple Digital AV Adapter to mirror whatever's on your iPad or iPhone 4S screen - apps, presentations, websites, and more - on your HDTV or HDMI-compatible display in up to 1080p HD (movies play at up to 720p). 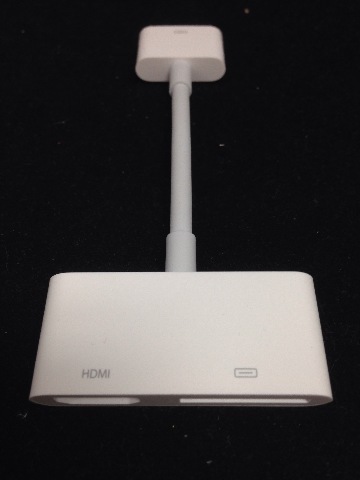 Watch slideshows and movies on the big screen in up to 720p by connecting your iPad, iPhone 4, or iPod touch (4th generation) to an HDTV or HDMI-compatible display. 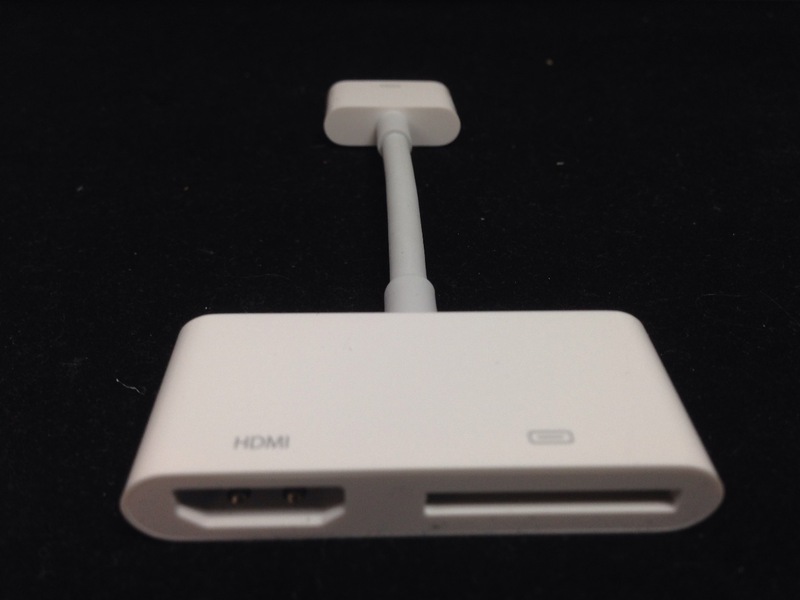 The Apple Digital AV Adapter routes digital audio to screens that support it. 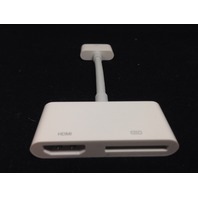 Connect the Apple Digital AV Adapter to your iPad, iPhone 4, iPhone 4S, or iPod touch (4th generation) via the 30-pin dock connector and to your HDMI-compatible display using an HDMI cable (sold separately). A second 30-pin connector built into the AV adapter lets you charge and sync your device while it's connected to your HDMI-compatible display. FREE shipping in both Canada and the US and free local pickup available. Genuine Apple part. Used in open box with no obvious signs of wear. Tested and guaranteed to work. Notes: Genuine Apple part. Used in open box with no obvious signs of wear. Tested and guaranteed to work.